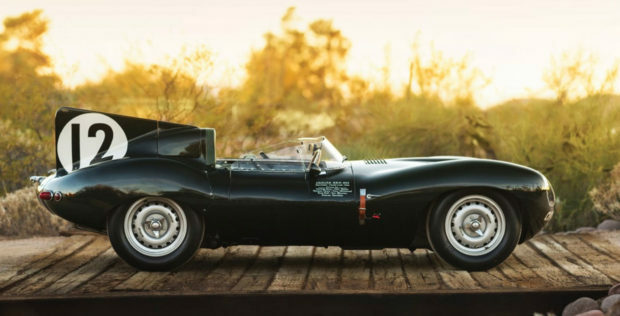 When it comes to Jaguars, perhaps the most iconic of any racing car it has ever built was the Jaguar D-Type Works track car. The vehicle you see here is absolutely pristine and has the sort of provenance that makes it insanely expensive. You see, this very special car was driven by legendary racing driver Sir Stirling Moss and Peter Walker at Le Mans 1954. This car is chassis number XKD 403 and has engine number E 2065-9. It appears to have been perfectly restored to its racing glory and wears suitable British Racing Green paint, along with “12” and “OKV 2” badging that it wore when it raced. 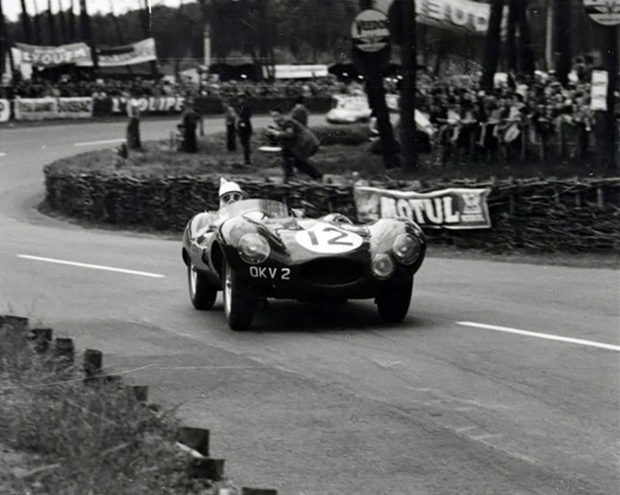 In addition to Moss and Walker, the car had Norman Dewis, Peter Whitehead, Tony Rolt, Ken Wharton, and Duncan Hamilton behind the wheel during its 1954 race season. While fitted with its original 2.5 liter engine in 1954, the tiny race car managed to hit a speed record of 172.97 mph on Le Mans’ infamous Mulsanne Straight, though sadly it did not finish the race, due to an issue with fuel. About 10 years later, the vehicle was in a deadly crash, and later still it was restored to its original condition. 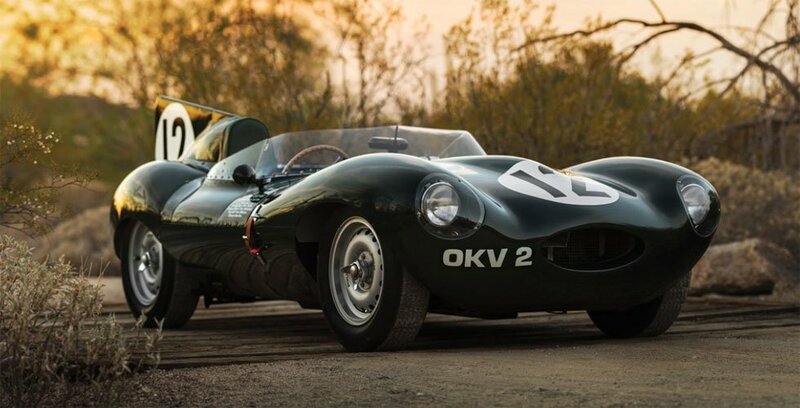 These racing Jaguars are some of the most beautiful cars ever made, and were very fast in their time. It’s going up for auction at RM Sotheby’s auction in Phoenix, Arizona in January 2018. The auction house expects this car to fetch an astonishing $12-$15 million.